Discussion in 'Guitars in General' started by celestion101, May 19, 2008. Suhr would be my first thought. 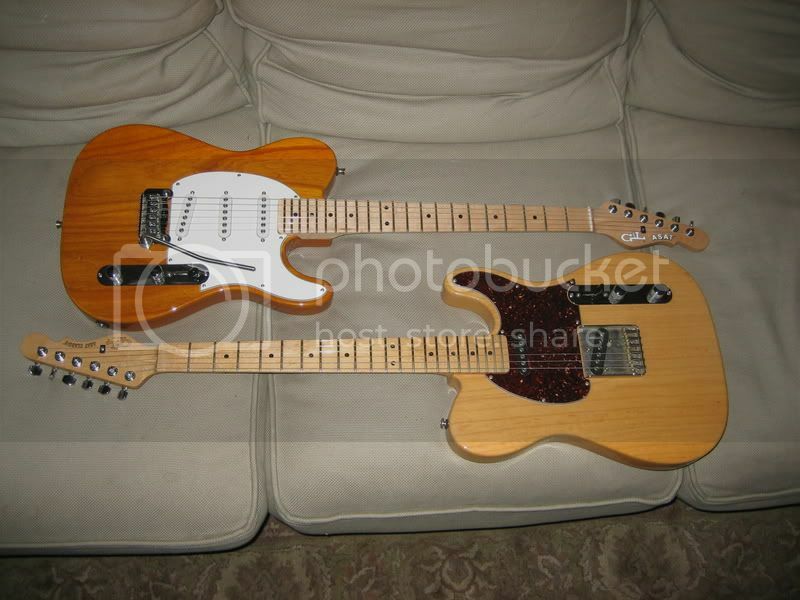 I had Suhr build me a Tele and have owned a few other Suhr T's. John and the gang are easy to work with and won't take too long to get one made. Splitable buckers have always been a compromise to me. I'd rethink the Wilky. The intonation screws tend to back out on their own and strip. I'd go with a Hipshot or Gotoh. Thanks guys...Suhr is a customer and a friend (we've been on a dirt bike ride or two!). I thought of him right after I posted and will take a drive down there this week. Regarding the Wilky I've owned a few and never had that problem (and I gig heavy), but I do not doubt your experience. I just want something that stays in tune as much as possible. I am not a dive bomb guy, but I may get funky with it on occasion and do not want 5 seconds of fun to screw my tuning for the whole song! I'm just not a Bigsby guy. I think I'd just 'partsocaster' one up. Big neck, tele pups still for me, ash body. That could be a fun build. I'm a tinkerer though. Chapin would be my first choice if buying one. Also Tom Anderson, Melancon, are options. Thanks Mike....that may be the case however I need to research what needs to be done with routing, etc. Heaven knows I have enough Tele bodies, necks, etc! Actually I've been looking at the Trem King TK-2 and looking at a body I have that might be the perfect candidate. The TK-2 base plate is milled for a Tele bridge pickup - no muss, no fuss. Glen Dale Clark's Chimemaster is exceptionally good on a 6 mount hole vintage Strat rout, and a fellow named Arlo West is in the process of assembling a pine Telecaster with a stock Strat trem rout, looks very promising. The Chimemaster does not transform a Strat into a tele, despite its 1/4 diameter 3 brass barrel setup, but installed it does beat all my other 4 Strats for big acoustic sound, especially plugged in. So this should work great on a Tele. Cuz up until now, a Tele needs an ashtray, hardtail. I'm keeping my mind open. Might be a good idea to keep this here in more neutral territory......like not on a Tele forum. I am actually debating the same ting right now. I have plenty of traditional tele guitars, so now I am considering a trem tele. I am thinking of going with a Mann Made vintage type bridge. Basically the same bridge as a PRS, but with correct spacing. I am also thinking of just mounting the bridge pickup to the body ala Tom Anderson guitars & not using a cut down tele bridge, etc. Let me know which route you end up going.